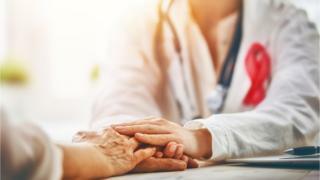 The main assessment centre for breast cancer in Northern Ireland should remain at Belfast City Hospital, a retired specialist has said. Dr Gywneth Hinds said a consultation on proposed changes was unclear. She said if breast assessment services were lost from a centre it could lead to the entire breast unit eventually closing. Health chiefs said shutting assessment centres would free staff to concentrate on other vital treatments. Under the new plans, breast cancer assessment centres at Altnagelvin, Antrim and the Ulster hospitals would remain open. But the centres at Belfast City Hospital and Craigavon Area Hospital would close. Health chiefs believe that reducing Northern Ireland assessment centres from five to three means people will have to travel further to be seen, but they should be assessed within the 14-day target. Assessment centres are for those referred for further tests after an initial breast cancer screening at a local health trust. The proposal does not affect breast screening services. Dr Hinds was an associate specialist at the city and retired in 2017. She said she accepted major changes have to happen but she wants the Department of Health to explain why it wants to close the Belfast City Hospital unit. Speaking exclusively to BBC News NI, she said: "The Belfast City Hospital breast assessment unit has been built up over many years, we have an excellent team. "We are also beside the Regional Cancer Centre, Queen's University, the medical school with all the researchers, the BRACA clinic which deals with hereditary breast cancer. "Why would we want to start breaking all that up? Yes centralisation is important but the main cancer assessment centre for Northern Ireland should remain in Belfast. " Dr Hinds said she did not believe the consultation document about the changes was open and transparent about what the recommendations were going to mean for breast services in Northern Ireland. "They have to tell us why they are making those decisions," she said. A spokesperson for the Department of Health said the consultation was the result of several years' work by the Breast Assessment Project Board. Breast assessment is just one part of the service which also includes surgery and treatment. The proposal to reduce the number of assessment sites has caused anger and distress. A number of petitions and message boards are asking for people to air their views. While the current consultation focuses on breast assessment services, Dr Hinds warns that once a unit loses that particular part of the service the entire breast unit would eventually close. In response, the Department of Health said at this stage the proposals relate purely to the provision of breast assessment and that the department will shortly commence a further review, to be clinically led, that will consider wider breast services. When asked if it was a case of "agreeing to change but not on her patch," Dr Hinds said that was not the case. She said: "There is no doubt that major change needs to happen. We have so many women coming to these clinics and we do have staff shortages but you aren't going to get more consultant radiologists if you are in three units than if you in five units. "There are other ways we could increase capacity at these clinics and there is nowhere in this document that addresses what those other options might be." According to the Department of Health the consultation is necessary as the current configuration of breast assessment services doesn't consistently provide appointments within the national standard waiting times and is therefore unsustainable. While Dr Hinds agreed that the current model is under pressure, she questioned the methodology of the consultation. She said: "The report does not acknowledge that 50% of all attendees at Belfast City Hospital travel from other trust areas or that it deals with 33% of all referrals in Northern Ireland." Last November, BBC News NI reported that only 11.9% of urgent breast cancer referrals were seen within 14 days in the Northern Health Trust during September. In February 2018, BBC News NI reported fewer than a quarter of urgent breast cancer referrals in the Southern Health Trust in October 2017 were seen within 14 days. The target is that 100% of women should be seen within 14 days. The project board which led on the consultation included a total of 16 healthcare professionals who represent the various disciplines including radiology, pathology, nursing, screening breast surgery and public health. In a statement the department said there was broad agreement that at least three breast assessment service locations would meet the needs of the population, and would provide greater service sustainability. Another factor taken into account was population need. A spokesperson said: "Given the vulnerabilities in the current model particularly in relation to staffing, the project board considered that a move from five services to four would not secure sustainable services in the medium to long term."